Looking to buy a DSLR? 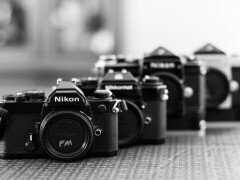 Here’s some catching-up with the current major Nikon SLRs in production. Ranging from entry level digital SLRs for beginners to high end pro series, Nikon has some major equipment options for each one of us. Check them out here. 6.1 megapixels. This is the camera every user upgrading to a DSLR swears by. You’d be lucky to procure a firsthand piece from the market. Small, light and a great DSLR which is a choice of amateurs and pros alike. 10.2 megapixels. Hardly anything more than a pepped up D40 with more pixels. At 10.2 megapixels, a great upgrade from the D40. The D80 faced serious competition from the D200 and now has been turned obsolete by the newer D90. A 12.3 megapixel DSLR which shoots movies too. 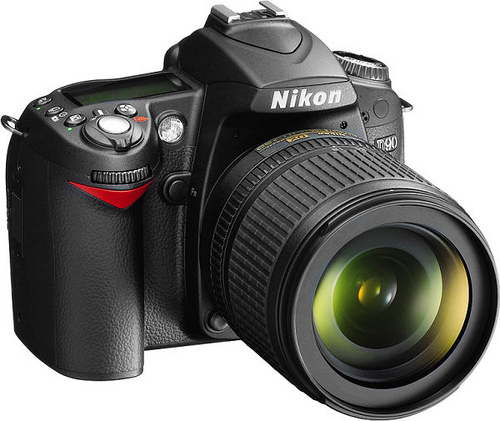 Makes the D80, D200 and even D300 obsolete due to the technological improvements and features. Has live-view – I call it the DSLR with an optional SLR. Another 12.3 megapixel Nikon machine. Significantly better results than the entry level DSLRs. This is a dream camera for many. Has a resolution of 12.1 megapixels on a full format sensor. It’s a D3 for those on a budget. It is Nikons latest and greatest current DSLR. It combines the top notch of everything – great picture, high ISO range, high fps and more. Comes with a second card slot and has a full format sensor. If you have the budget this is the camera to invest in. But unless you are a news journalist or a professional sports shooter I doubt if you’ll be able to exploit all the features of this machine. It doesn’t have a resolution. Yes, it’s a film camera and the only Nikon film camera in production. Clearly a favorite of the purists, it employs all the tech gadgetry and comes with the bells and whistles of a DSLR minus the “D”. The technology it employs is getting obsolete though as technology outdates itself every few weeks still this is the film camera that is simply superb. Which of these did you pick and why? Also, check out the Canon range of DSLRs before making the final decision.